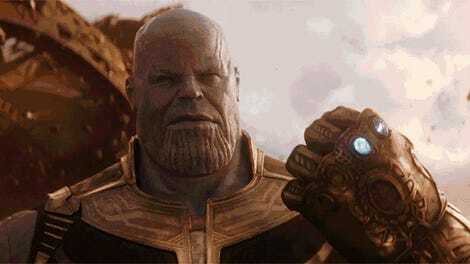 The first trailer for Avengers: Infinity War, released last month, confirmed Thor’s fate from his latest solo film: He lost his eye and is now wearing a patch. 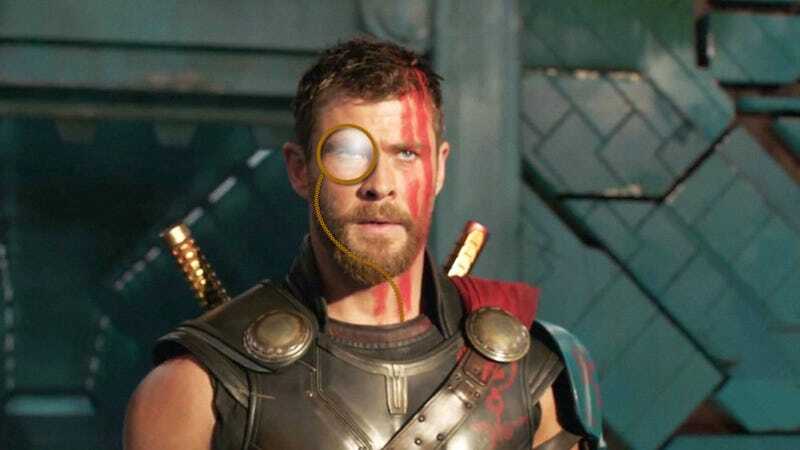 This reveal left a few fans surprised and a bit confused, as early photos and footage from San Diego Comic-Con showed Thor with 20/20 vision. Does this mean the God of Thunder is getting his right eye back sometime in the movie, or did they film scenes twice to keep Ragnarok’s reveal a secret? The answer seems to be a lot simpler. 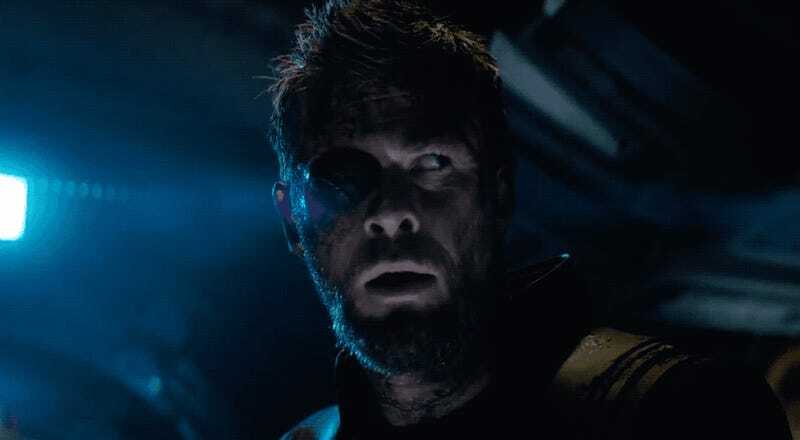 In an interview with CinemaBlend, Chris Hemsworth shared an interesting bit of trivia: The eyepatch he wore for Thor: Ragnarok and Avengers: Infinity War was created using CGI. He said they tried using a real eyepatch at first, but it wasn’t working like Samuel L. Jackson’s from earlier Avengers films. That’s because, unlike Thor’s, Nick Fury’s eyepatch had a strap. I remembered being...with the eyepatch, the story unrolling, “Yeah, cool, this is interesting.” And then the day that we put the eyepatch on I was like, “This is ridiculous.” The thing kept falling off, and we didn’t have the thing [gestures an eyepatch strap]. So it became a CG eyepatch, which I was stoked about. Hemsworth said all he has to do was stick four dots around his eye and the special effects team took it from there. This could explain why we didn’t see any hint of an eyepatch in the first debut footage from Comic-Con last year (and it wouldn’t be the first time Marvel kept a secret via CGI). After all, it’s a hell of a lot easier to digitally remove four dots from someone’s face than it is an entire eyepatch. Or hell, maybe they took them off for 20 minutes while Marvel was shooting that footage, so as to avoid any spoilers and suspicion. It’s still unclear whether Thor will regain his eye, but I’m personally hoping he doesn’t because I’m totally digging the patch. And hey, at least it’s not a mustache.